Allison Kim Schultz passed away on August 16, 2017 after a long bout with leukemia. She had recently undergone a successful stem cell transplant which had cleared up the cancer but her resulting weakened immune system took its toll. She was born on April 20, 1968 in Ogden Utah. She was adopted by David and Sheila Krogue. She was raised in Bountiful Utah and graduated from Woods Cross High School. After graduating from high school, she attended Dixie College for a period of time before working as a nanny for the Matchett family in Klamath Falls, Oregon. She cared for their three children. After working as a nanny for a year and a half, she returned home and began attending cosmetology school. She soon met her future husband, David Schultz, on a double date – the only problem was they were both dating someone else. They quickly fixed that and got married several months later in the Salt Lake Temple. Together they raised four sons, Jeremy, Daniel, Michael, and Justin. They first lived in the Bountiful, Utah area while David pursued his education at the University of Utah with the both of them working various jobs to make ends meet. They then moved to Tempe, Arizona so that David could pursue a Master’s degree at Arizona State University. They both juggled work and child raising duties to make it work. They then moved to Chandler, Arizona followed by another move four years later to their current home in Mesa Arizona. When the kids were grown she decided to continue her education by pursuing a dental assisting degree. She applied herself and worked hard to complete the program, an achievement that she was very proud of. She was diagnosed with leukemia in 2012 and fought a long hard battle. She received a stem cell transplant at the Cancer Treatment Centers of America facility in Zion, Illinois. Her family expresses gratitude to the wonderful doctors and staff members who cared for her and helped her have a successful recovery. Allison was a member of The Church of Jesus Christ of Latter-day Saints and had a firm testimony and love for the gospel of Jesus Christ. She was loved by all who knew her. Her greatest joy was spending time with her family and friends, all of which loved her dearly. 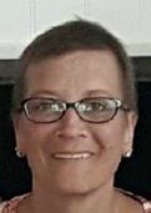 She is survived by her husband David Schultz, sons Jeremy Schultz, Daniel Schultz, Michael Schultz, and Justin Schultz, and grandson Kyler Schultz; father David Krogue and brothers Kenneth Krogue and Jonathan Krogue. She is preceded in death by her mother Sheila Baker Krogue. Funeral services are Tuesday, August 22, 2017 at 10 AM preceded by visitation at 9 AM. Additional visitation is Monday evening from 6 – 8 PM. All services will be held at the LDS Church building located at 2520 N Hartford St. in Chandler, AZ. I am so sorry about your loss. It sounds as if it was very unexpected. You both tried every avenue in order for Allison to become well. I hope that will be a comfort to you. I planned on coming down but the logistics seem rather prohibitive. I am still not at my best. I hope everything works out well and that all goes as planned. I offer my deepest condolences to the Schultz family: David, Jeremy, Daniel, Michael, Justin Kyler, and everyone who loved her. Isaiah 25:8 says that He will swallow up death forever, And the Sovereign Lord Jehovah will wipe away the tears from all faces. I pray that this scripture brings some comfort to the family during their time of bereavement.